Unlike the Easter rising in 1916 and the Irish War of Independence from 1919-1921, the Irish Civil War tends to get little attention from either readers or students of Irish history. Yet even now, the rival parties in the conflict continue to form the basis for two of the largest parties in the state and much of the bitterness from the war divided opinion and politics of the new Irish state for much of the twentieth century. A war that was lacking in set piece battles, it nonetheless featured vicious urban fighting, prolonged field activities at Kilmallock and an extended guerrilla campaign in the later stages, not to mention innovative amphibious assaults by the young Free State government. 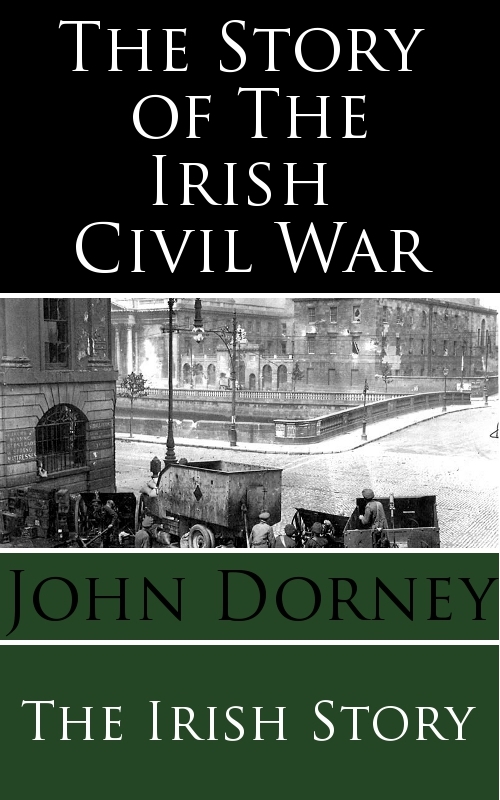 In this short informative and lively account of the origins, course and aftermath of the civil war, John Dorney brings the reality and brutality of the war to life for readers. Last revised by: John_Dorney15 December, 2014. 6 Responses to "The Story Of The Irish Civil War"
Enjoying the book, John. A slight aside in the negotiation section, Griffith led the Irish delegation didn’t he not Collins? Though when it came to the Treaty debates in Dublin, Collins appeared to assume responsibility for championing it.